Ajith Movie Is Remade in Kannada? ‘Thala’ Ajith’s super hit film ‘Varalaaru’ is being remade in Kannada now. The Kannada film is titled ‘Godfather’ and is directed by ace cinematographer P C Sriram. Kannada hero Upendra is donning Ajith’s role and Soundarya and Catherin Terasa play the leading ladies. It is learnt that Boomika is doing a guest role as producer Manju wanted her to cast in the film. She is also featuring in a song with Upendra. A R Rahman is likely to score the music of the film. 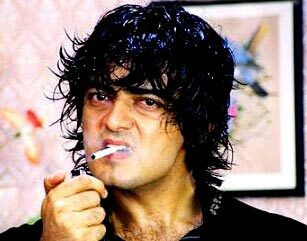 Ajith’s Varalaru was a huge hit that was directed by K S Ravikumar. Ajith did three roles in the film. Asin and Kanika played the leading ladies. A R Rahman scored the music for the film. 0 comments for "Ajith Movie Is Remade in Kannada?"